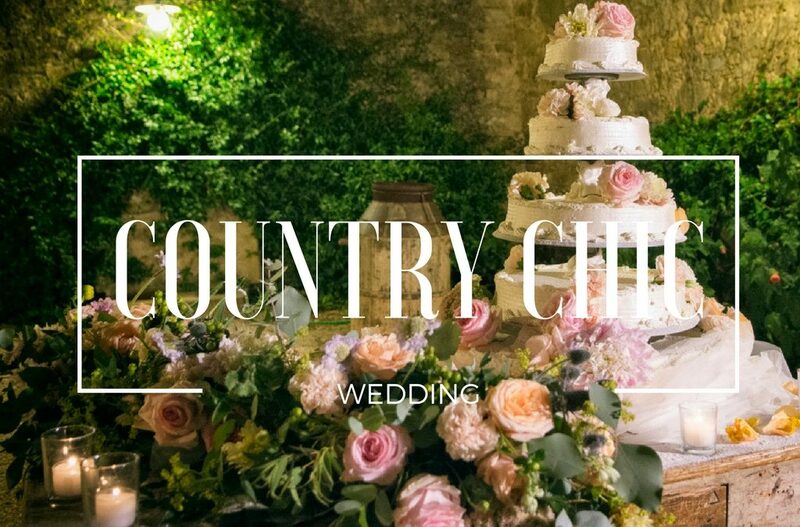 A country-chic wedding, in the countryside and with an elegantly refined touch. 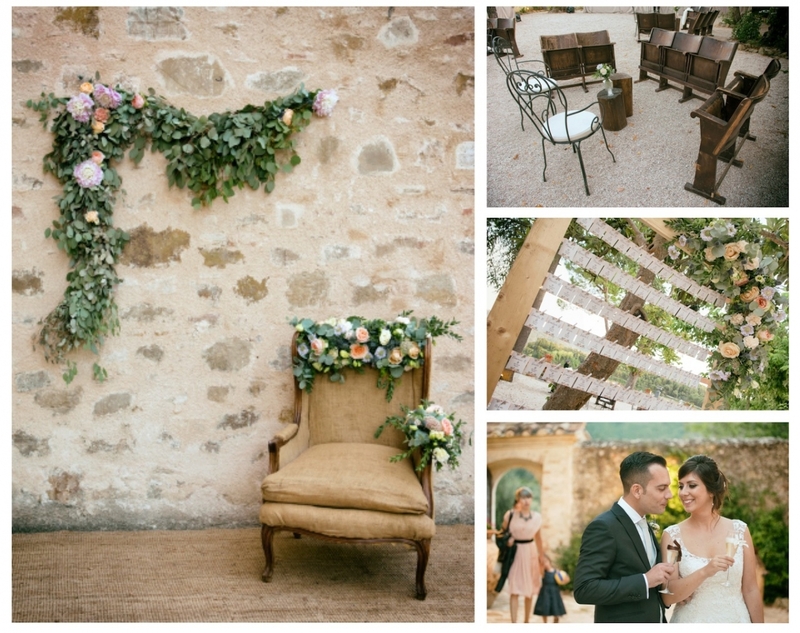 Only for those who love nature and dream of a wedding outside the box. 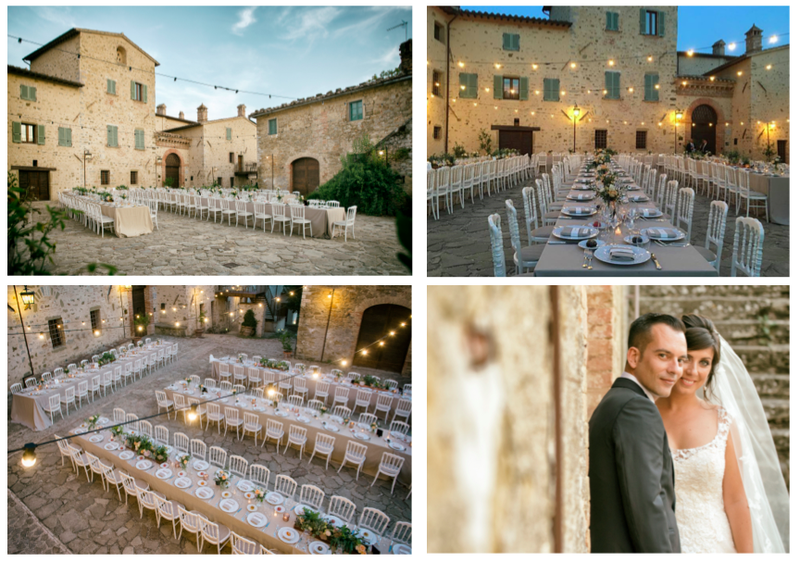 Our village was a perfect setting for this wedding theme, with its rustic and elegant architectural style, which breathes the ancient peasant origin. As a background there are the gardens populated by native plants and trees and the olive groves of our farm. These elements are naturally present in our areas, so they have made the settings more realistic, all enriched by our underlying philosophy, made of rustic nature and exclusivity. 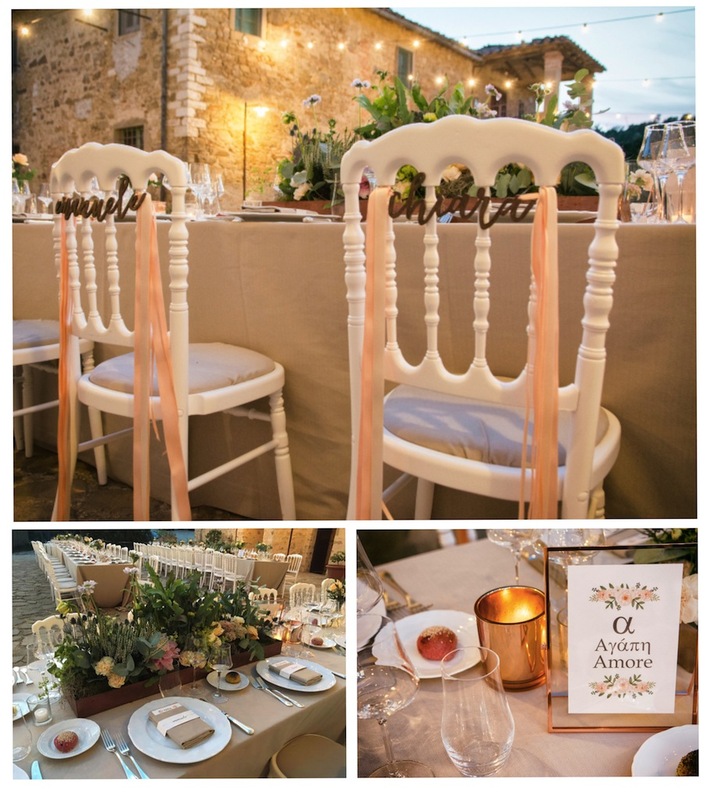 The wedding reception was held in the ancient square of medieval origins, made magic by a light design with a retro flavor and by natural essential beautiful fittings: a white and cream color scheme, with some pastel pink and copper details, to give the right detachment to the created uniformity. The decisive touch was given by flower design: pink pastel roses interlaced in complex and romantic compositions that have enriched the photo booth corner and the tableau. All corners of the village came alive with relaxation areas equipped with old wooden seats taken from the Church and logs of wood to accentuate the country mood. Attention to detail is the fundamental element in an outdoors wedding, especially with regards to the table setting. Again delicate colors that express sweetness and romance were used for the centerpieces and table numbers together with copper candle holders. 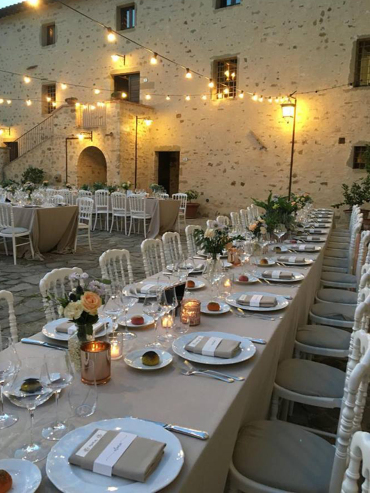 Such beautiful tables to anticipate the culinary experience, characterized by slow food, genuine and typical delicious products supplied by small local producers. 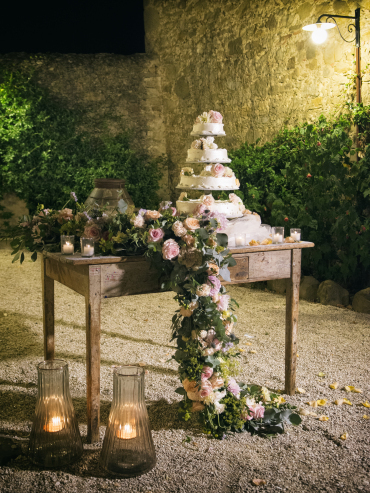 Another unmissable feature is the wedding cake that signed the opening of the evening party with music, fireworks, drinks and entertainment.